The Seneca language belongs to the Northern Iroquoian branch of the Iroquoian language family, where its closest relatives are Cayuga, Onondaga, Oneida, Mohawk, and Tuscarora. Seneca holds special typological interest because of its high degree of polysynthesis and fusion. It is historically important because of its central role in the Longhouse religion and its place in the pioneering linguistic work of the 19th century missionary Asher Wright. 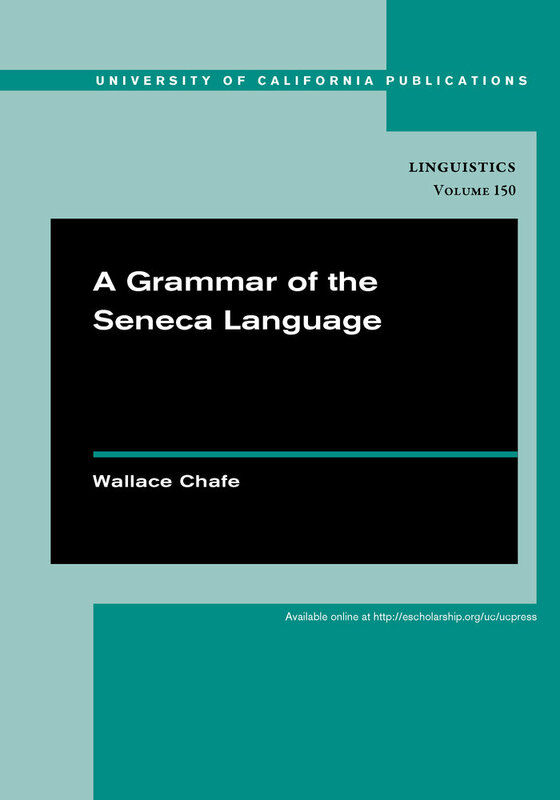 This grammatical description, which includes four extended texts in several genres, is the culminatin of Chafe’s long term study of the language over half a century. 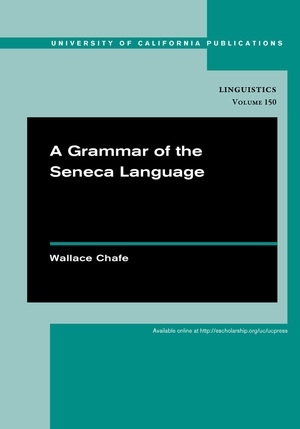 Wallace Chafe is Professor Emeritus and Research Professor of Linguistics at University of California, Santa Barbara.